For nearly a year after giving birth, she cried in secret every day. She thought if she told anyone how she really felt they would take the baby away. During her son’s birth, Deth felt out of control and in the dark. Her labor was long and difficult, culminating in an emergency cesarean section. As a result of four hours of pushing and an attempt to turn the baby in utero, her son developed a blood blister spanning his scalp. It looked horrible, and no one reassured her that it wasn’t a major concern. Her son spent a week in the neonatal intensive care unit without any clear explanation why, and during this time her incision opened up and became infected. Deth didn’t bond with her son, Sam, until he was almost 1. She just thought that’s how motherhood was. It never occurred to her that her birth experience had anything to do with it. Because the sadness felt wrong, Deth minimized her feelings until she eventually sought counseling. About a third of all births are emotionally traumatic for the mother, according to the nonprofit Prevention and Treatment of Traumatic Childbirth. Traumatic births involve feelings of imminent danger, helplessness or loss of control. Trauma can be invisible, and postpartum women who are struggling emotionally can feel a lot of shame, said Sarah DeBrunner, a psychiatrist at Magee-Womens Hospital of UPMC. That shame may prevent them from getting the help that they need. Right after her daughter’s birth 15 months ago, Jefferson Hills resident Heather Abbruzzese hemorrhaged. Some amount of bleeding is normal after birth, but hers was excessive and it wasn’t stopping. Although postpartum hemorrhage only occurs in about 0.6 percent of all deliveries, it accounts for 11 percent of maternal deaths, according to the Centers for Disease Control and Prevention. Abbruzzese’s doctor tried to staunch the flow by removing blood clots from inside her uterus. “At that point I said to her, ‘If I’m going to die, I just want to hold my baby.'" The doctor tried a few more interventions, but none of the usual tricks worked so she told Abbruzzese they would have to do surgery. “At that point I said to her, ‘If I’m going to die, I just want to hold my baby,’” Abbruzzese said. In the operating room, the doctors inserted a balloon into Abbruzzese’s uterus and filled it with saline to stop the bleeding. It worked. She lost about a third of her total blood volume. Over the next 24 hours, they deflated the balloon and the bleeding remained under control. For 28-year-old Wilkinsburg resident Alissa Moss, it wasn’t her life that was in danger during childbirth, but her son’s. Eight months ago, Moss had a placental abruption — where the placenta detaches from the uterus before the baby is born — in the 36th week of her pregnancy. Since the placenta is the fetus’ life line, physicians must react quickly to save the baby. About 1 percent of women experience a placental abruption and 12 percent of those cases result in stillbirth, according to a 2001 study. Moss’ doctor performed an emergency C-section before her son suffocated. Her doctor told her they were within 10 minutes of getting him out in time. Fortunately for Moss, her son is healthy, but coming so close to the alternative left her shell-shocked. She couldn’t stop dwelling on the thought that she was almost not so lucky. Each evening when the sun began to set, Moss would start to panic. She knew she should sleep, but she couldn’t bear to take her eyes off of her son. She compromised by sleeping on the nursery floor. “I was terrified that if I went to sleep I would wake up and they would tell me that I just dreamt that we got him out in time,” Moss said. Of those mothers who experienced traumatic childbirth, approximately one third will develop posttraumatic stress disorder (PTSD). Symptoms of PTSD include persistent flashbacks, bad dreams, frightening thoughts, avoidance and feeling on edge. Members of racial minorities are at particular risk of developing PTSD after a traumatic event, and they are less likely to seek treatment, according to a 2011 study. What are the barriers to recovering from traumatic birth? Lack of awareness and availability of resources are major factors. Magee’s Behavioral Health Services unit specializes in pregnant and postpartum mental health. The clinic is located inside Magee – two floors below the labor and delivery suites – and they accept health insurance. Although DeBrunner said some women can benefit from medication to control their symptoms, sometimes talk therapy is enough. There are therapists at Behavioral Health Services as well as individuals like Kathy McGrath who specialize in traumatic birth counseling. Over her 20-year career as a childbirth educator at Birth Partners, Inc., McGrath has met many women who experienced a traumatic birth. McGrath listens to each woman’s story, moment by moment. Her role is to provide validation and help them move on. The turning point for Deth and Moss in processing their traumatic births was discovering New Mom’s Coffee (NMC). McGrath and Kids Plus Pediatrics created NMC as a donation-based support group for new mothers. At NMC, Deth said all of a sudden she could put words to how she felt. She shared her birth story and the group provided validation that these things were indeed traumatizing. 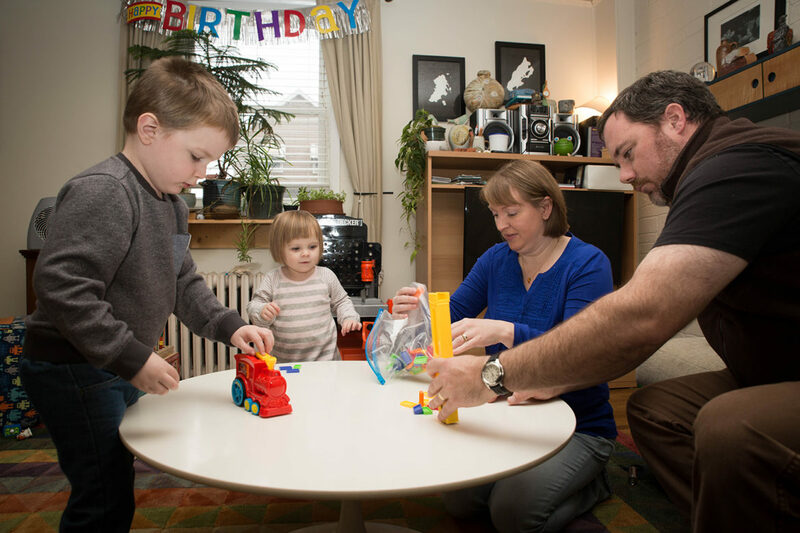 The other NMC moms encouraged her to seek counseling with McGrath, which ultimately helped her to reframe her birth story and repair her fraught relationship with her son, who is now 4. A year later, Deth gave birth to a daughter. She describes this one as her “healing birth,” because everything went right. Moss hopes for a healing birth some day, but she said she would need extensive therapy during the pregnancy to quell her fears that she might have a repeat abruption. Before coming to NMC, Moss said she wasn’t really aware of the concept of traumatic birth. So many people had fed her the line that she should just be grateful her baby is healthy, but at NMC she was given the space to vent about how emotionally challenging it is to almost lose a child. 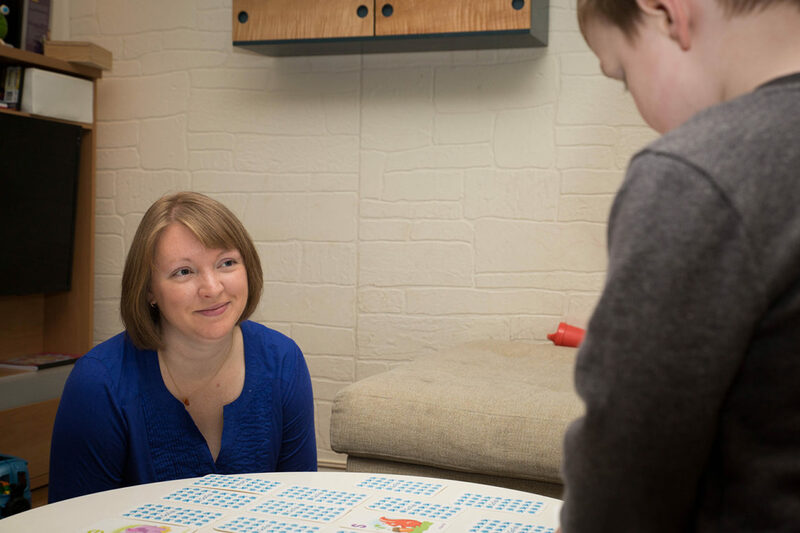 Erin Hare is a freelance writer, neuroscience Ph.D. candidate, and mother to an awesome little boy who shares her love of language. She can be reached at erin@sciencetosense.com or you can follow her @sciencetosense.